Introduction: Dengue fever is the most common viral disease transmitted by arthropods. It is endemic in Puerto Rico, Latin America, Southeast Asia and the Pacific islands; several cases occurred also in Africa and the Eastern Mediterranean. The spread in many popular tourist destinations and the recent increase in migrants from these areas towards Italy may lead to an increase of cases. The aim of this work is to investigate the clinical presentation, laboratory characteristics and diagnostic procedures of Dengue fever. 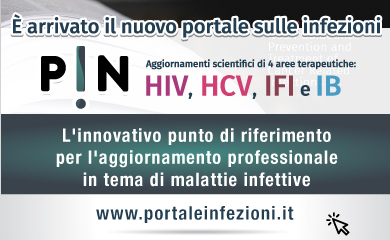 Patients and Methods: We consecutively enrolled 8 patients admitted to the Infectious Disease Unit of the University of Sassari. Clinical and laboratory results were collected from clinical records. Diagnostic test for Dengue infections included serology (ELISA) and PCR on blood samples. Results: The mean age of the patients, all males, was 28 ± 5 years. Six patients were from Nigeria, one from Mali and one from Italy. Seven out of 8 patients have transited from Libya before arriving in Italy whereas one was an Italian traveller returning from Thailand. The most frequent clinical presentations included fever, headache and arthromyalgia. No cases of rash were reported. Hemorragic manifestations were rare and mostly represented by gross haematuria. The most frequent laboratory test alterations were an increase of aminotransferase and creatine phosphokinase levels and leukopenia. Only one patient developed thrombocytopenia. The clinical suspicion was confirmed by serology in all cases. PCR on blood for Dengue virus was negative. Conclusions: The clinical suspicion of Dengue fever should be supported by epidemiological criteria and serology results in order to correctly diagnose the infection in its early stage. Given the recent increase in the incidence in the last decades, the geographical expansion of Dengue fever and the flow of migrants from Africa to Italy, surveillance systems based on laboratory tests are becoming crucial.